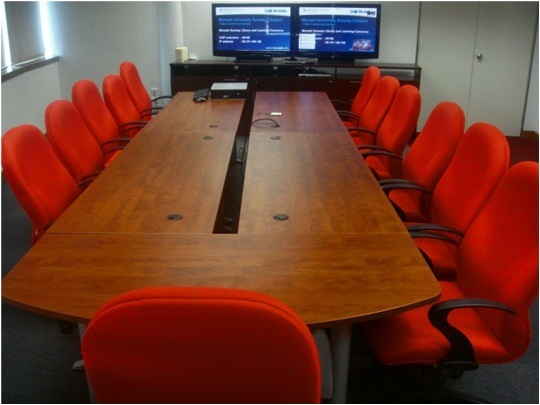 Video conference facility is available in the Library Meeting Room located on Level 2. Booking of the video conference facility is open to the Monash community and subject to availability. Contact Aishah Safurah Mat Saaod or Kevin Wong Wai Cheong to enquire about reservations.